Synthesis 360 designs and builds software for scientific and industrial applications. Do you have product ideas you would like to put in motion? Is your team’s development capacity fully tapped out? Do you need market savvy and technical skills in a single package? Let us help you jump-start your ideas, build momentum and deliver great products. 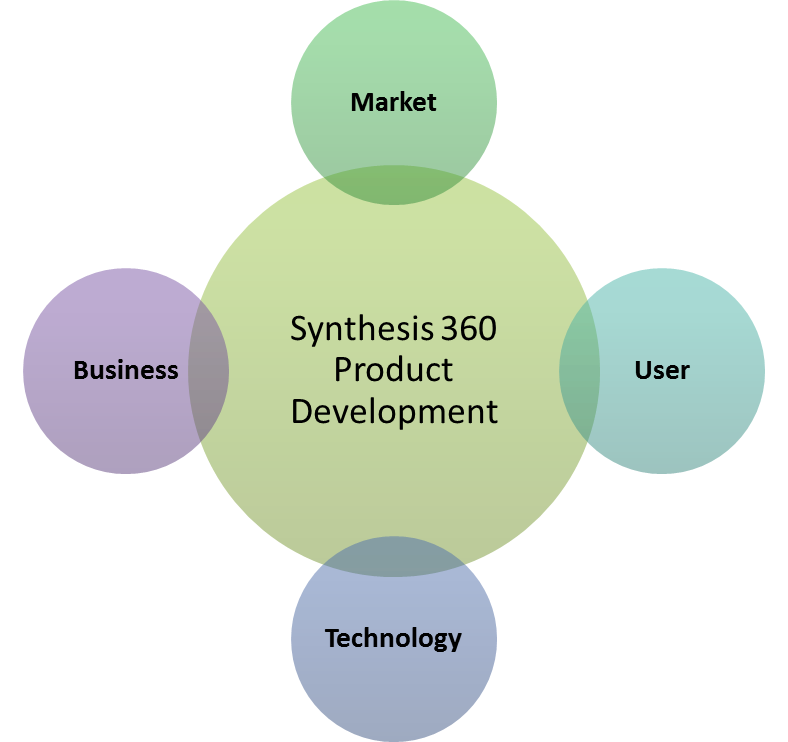 Synthesis 360 brings a unique combination of end-user orientation, market savvy, business knowledge and technical chops to the table. We combine these ingredients into a coherent development approach that produces reliable results. Our commitment is to deliver a well-designed product that fits user needs and is successful in the market. Development is led by Dr. Niraj Agarwal, who brings 20 year’s experience in product innovation, business planning and marketing. His technical expertise includes software design, programming, sensors & instrumentation, color vision, imaging, spectrophotometry, and mathematical modeling.